Itching may occur at any time of the day and is not always caused by a skin disease. We all experience itching every now and then. It may be due to dry skin or minor skin irritation and it is quickly relieved by light scratching. Itching in these cases is not a cause for concern. However, when itching is persistent or recurrent then it needs to be investigated, particularly if these is a skin rash present. Sometimes itching may occur with specific events that would otherwise not be considered as a trigger for itching, such as itching when in bed. There may be reasons why bedtime itching occurs and it can be easily alleviated with minor changes. As stated, itching may be linked to skin diseases. It is a common symptoms associated with most skin conditions, such as eczema, contact dermatitis and psoriasis. In these cases the skin is irritated, inflamed or damaged and the barrier function of the skin is compromised. Bedtime itching in these cases will occur for several reasons, such as the fabric of bedding making contact with the affected skin. However, when bedtime itching occurs without any skin disease then several factors have to be investigated. The irritation may be arising from the blankets and linen, it could be due to pests living in the mattress and also be caused by heat generated from being covered. Similarly, events preceding bedtime like a very hot shower can also be the cause of itching when in bed. Read more on nighttime itching. Most of these other skin symptoms arise with itching when there is an underlying skin disease. Sometimes symptoms beyond the skin may also occur, such as a fever. It is important that itching along with these other signs and symptoms are investigated by a dermatologist for a definitive diagnosis. Underlying skin diseases must be excluded as a possible cause of bedtime itching. If none of these conditions are present then environmental factors should be considered as possible causes. It can be excluded by removing these factors one at time and if the itching stops it confirms that it is the cause of the itching in the bed. The causes of bedtime itching does not focus on the various skin diseases where itching may be a symptom. For example, if the blanket is suspected to be the cause of the itching then another blanket made of a different textile should be used. This new blanket should be used for a few days. If the itching stops then it confirms that the initial blanket was the problem. Read more on how to relieve itching in bed. Contact dermatitis is a form of skin irritation that occurs with the exposure to certain substances. It is not only skin applications that can cause this type of dermatitis. Even contact with fabrics may be a problem. Therefore blankets, linen and other bedding must be considered as a possible cause of itching at bedtime. As discussed above, this can be easily excluded as a possible cause by removing the possible offending agent to see if the itching subsides. We often become more aware of sensations like pain or itching when we are rest. Itching may be present throughout the day but a person may not notice it as much when busy during the day. The same may apply to bedtime itching. The cause of this itching may therefore be unrelated to the bed or time of the day. It is important that this itching is investigated by a medical professional. Apart from skin diseases, itching can also arise with system disorders like liver or kidney disease. Hygiene can also be a factor in itching. The accumulation of skin oils, sweat and environmental dust on the skin surface can cause irritation and itching. As discussed above, this itching may only become obvious when resting in bed. Therefore it is not specifically caused or triggered by the bed. Practicing good personal hygiene, like bathing twice a day, may help remove this irritation. Furthermore sleep time clothes should so be washed regularly. Bathing prior to bedtime may be the trigger event for itching. Water itself can be an irritant in contact dermatitis but the temperature of the water and the use of soap or shampoo are other factors. Hot water increases blood flow to the skin surface, which can exacerbate pre-existing skin inflammation. In people with sensitive skin, soaps and shampoos may result in skin itching. Scrubbing with force and not drying the body thoroughly after bathing may also lead to itching. Read more on itching after bathing. Pests like the scabies mite and bed bugs can also cause itching. Other pests like fleas, body lice and the mites such as the chiggers or demodex mites may also be a factor in bedtime itching. These bugs have to be eradicated from the home, clothing and bedding in order for the itching to be avoided. 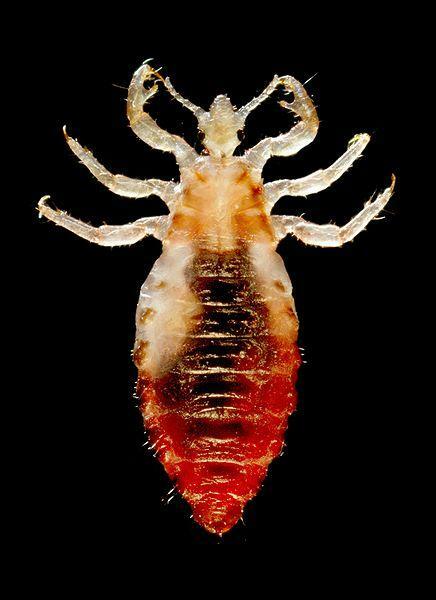 House dust mite thrives in mattresses as it feeds on the dead skin cells that are shed from the human body. While it cannot be entirely avoided, regularly changing linen, vacuuming and turning the mattress over may help limit contact with house dust mite. Read more on itching caused by mites. If animals live in the house and come in contact with the bedding and mattress then the hair or fur (dander) can remain on these surfaces. As a result it may cause irritation when it comes in contact with the skin during bedtime. Pet owners who experience bedtime itching need to be cautious and either reduce animal contact with the bed or thoroughly clean by vacuuming and changing bedding and linen daily.